Well, let’s frighten everyone with our saintliness on this Eve of All Saints Day! 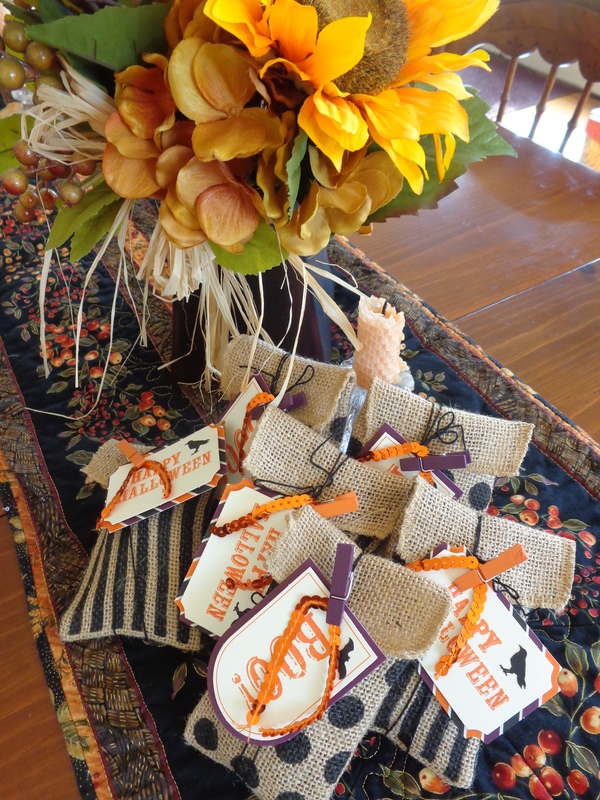 : ) Now, I know you’ve seen these super-cute Halloween burlap bags all over the Stampin’ Up! 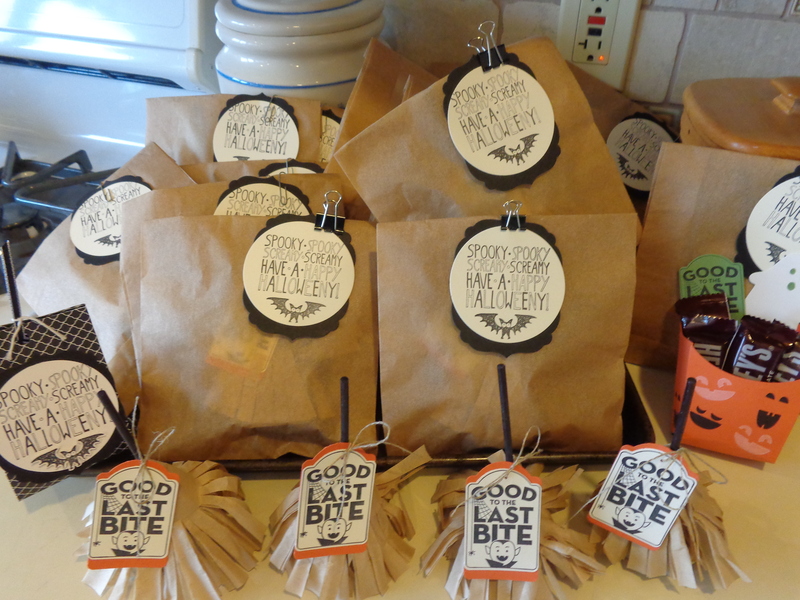 world, but I just made these this afternoon for my family, and they were SO MUCH FUN to make! 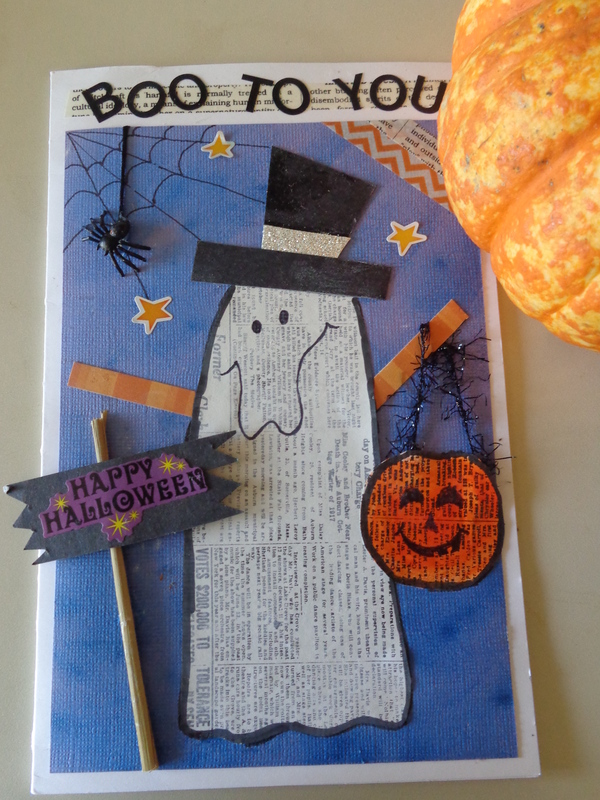 They are from the September Paper Pumpkin Kit and I can’t say enough about how fun it is to have the stamps, ink, twine, sequins, tags, bags, stickers and clothespins all come in one little kit. It even had the dimensionals to attach the tags to their colorful backings (and there are still 9 tags left over!) A great little treat for Halloween! The trick would be to have one for every single one of you…wish I could do that. I hope you have a fun and un-frightful evening!!! 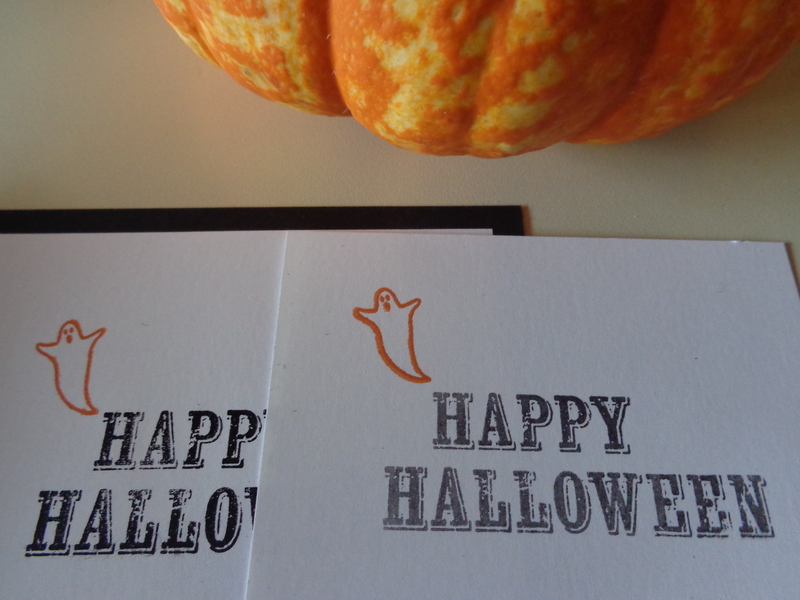 We’re all ready for All Hallows Eve tomorrow night, and it turns out that Merry Everything and Mingle All the Way, the first two stamp sets that we got from this years Stampin’ Up! Holiday Catalog, led the way in the preparations. We live on a quiet dead-end street and only get about a dozen treat or treaters, so we don’t have too much to do in the way of getting ready, but it’s still a lot of fun! Traditionally, children dress up as a favorite saint in celebration of All Saints Day on Nov. 1st. What saint would you like to be? Have a Happy All Hallow’s Eve! I have some very special friends that like to craft. The first is my friend and neighbor, Whitney. 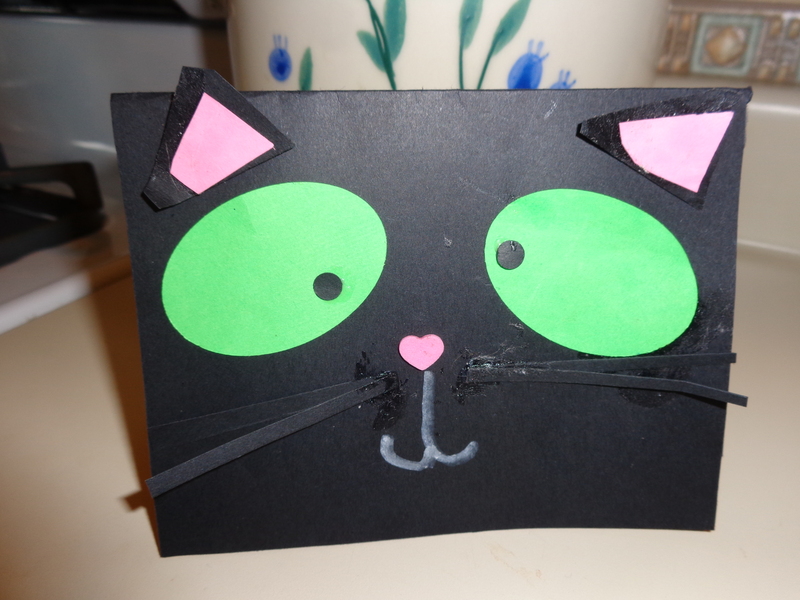 She designed and made this adorable Halloween card…it’s the cat’s meow, Whitney!!! 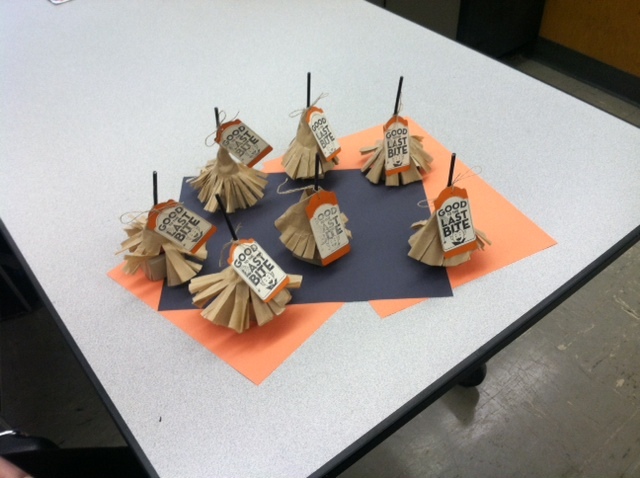 These are little lollipop treats that we are making at our children’s class this afternoon! First, color the lollipop sticks with a black Sharpie. To make the “broom”, use two coffee filters, folded in half and then folded in quarters. Cut off a half inch strip from the bottom, and then cut slits about 1 1/2″ up. Wrap it around the lollipop, using a glue dot on the lollipop stick and then one to close the “skirt” in the back. The tag is made with the new Merry Everything Stamp Set and Note Tag Punch. It is tied with Linen Thread. 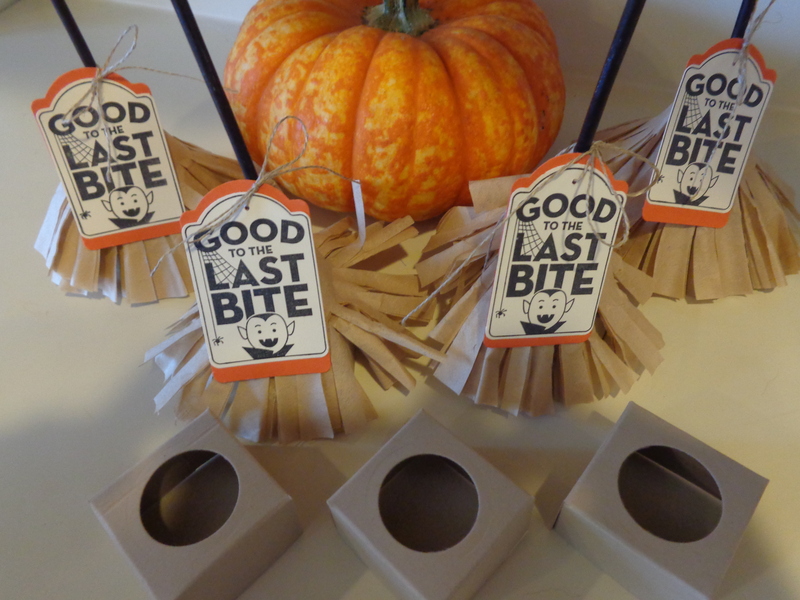 The little box that the lollipop sits on is made with a piece of 3 1/2″ Crumb Cake Cardstock. Score it 1″ all around and then cut four slits up to the score line. Use the smallest circle in the set of Circles Framelits to cut out the middle. Fold the edges and glue shut. Voila! Good to the last bite! You can find step by step pictures for these instructions on Susan Itell’s blog. It’s a fun little project! : ) Hope you have a wildly creative week-end, Dawn. 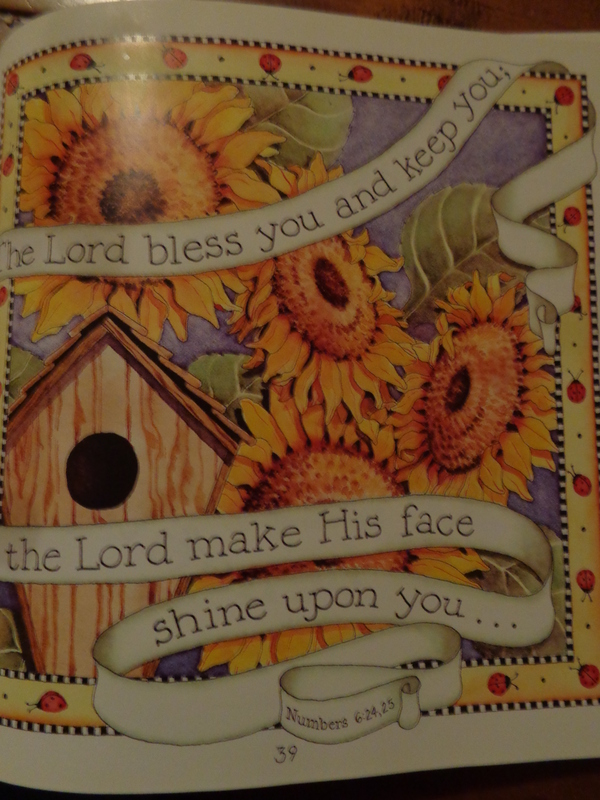 This card was made by my friend and very first downline, “Miss Pat.” When she and I went to Stampin’ Up’s 25th Anniversary Convention, this little ghost was a project we were shown on the big screen. (I think at convention the project was debuting some new Designer Series Paper…I can’t remember!) 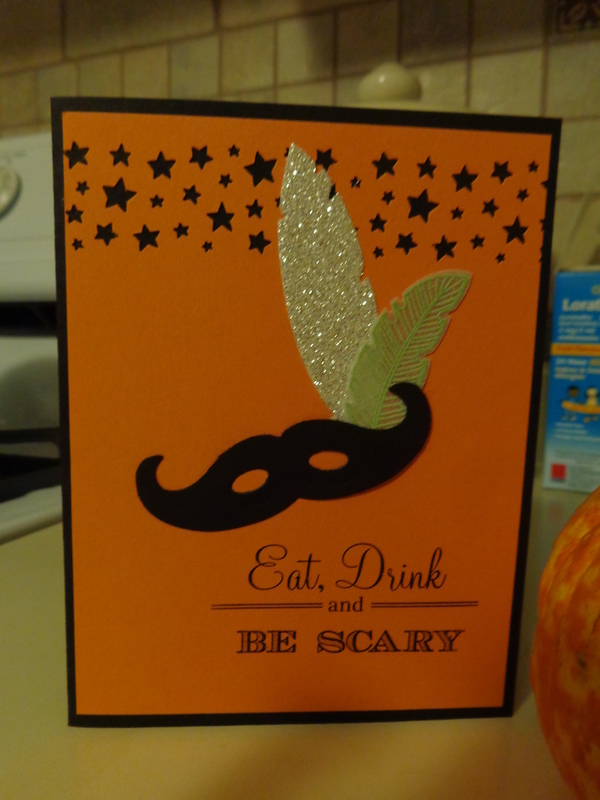 Over a year of “happy idling, dawdling and puttering” on Pat’s part lent the inspiration for her to add a few embellishments and create this card for me. Soooo cute, Pat! A stamping friend asked me about the difference between Stampin’ Up’s Black Ink Pad and the Staz-On Black Ink Pad. The Staz-On is on the left. “PRAYER: It can be done any time and anywhere and should precede any other gifts of comfort! FLOWERS: They reflect God’s beauty and bring comfort to the eye. We could pick a bouquet or order one from the florist, if our budget allows. SNAIL MAIL: There’s just something so heartwarming about finding a note or card in the mail. Whether we create our own card, buy one, or just write a note on plain paper, the message will be appreciated.